Do you want to catch some blue catfish at Grand Lake during the winter months? Well, our buddy Lance Lutke sure knows how to do that. Lance has his own guide service (see below), and guides on several lakes in Northeastern Oklahoma, including Grand. 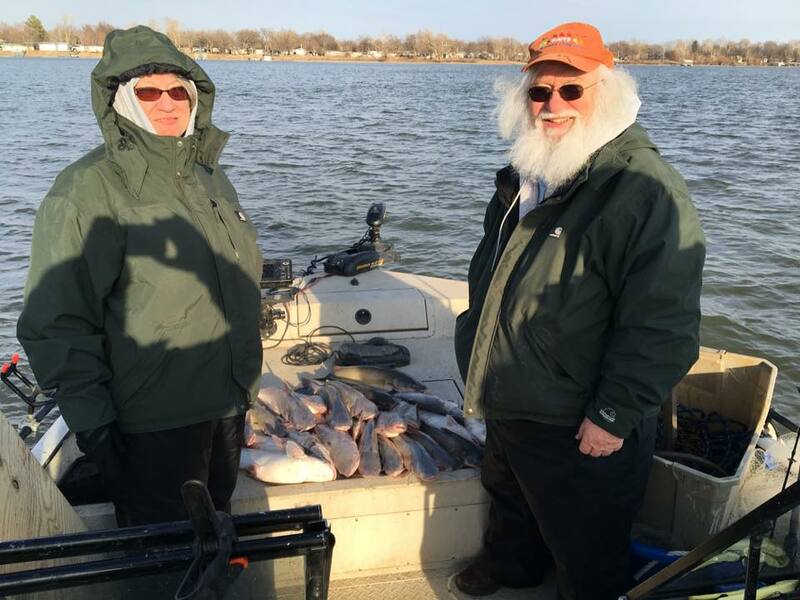 Today, was the first day all year that we fished a true winter pattern on Grand Lake for blue catfish. Grand has finally cleared up north of Sailboat Bridge causing the shad to drop to the lower third of the water column into the river channels. We focused our attention on fishing the shad “carpet” looking at our sonar. At the edges of the shad “carpet” in the river channels we would find blue catfish feeding. Using our Navionics lake maps and sonar on our [easyazon_link identifier=”B00RLO8QL8″ locale=”US” tag=”myfamanc-20″]Lowrance HDS 12[/easyazon_link], we would see little yellow blunt arches that we interpret as blue catfish hanging on the edges of the channels gorging on shad. Blue catfish use the edges of channels to trap their food. I like to think about it as if we were playing tag in a racquetball court. The tagger would use the wall as a way to corner the opponent and tag them. Catfish, well fish in general, use ledges and drop offs much the same way to capture their food. Our fish were caught in 28-45ft of water using fresh cut bait. The bite was on fire for the first couple of hours of the trip and got much lighter when the wind shifted from the northeast to the southeast. We still caught fish, but had trouble seeing the bite. We’d go to reel in and we’d have several fish on. They just weren’t hammering the baits like they were earlier in the morning. For more more information visit our website, http://lancesguideservice.com/ and our Facebook page, https://www.facebook.com/LancesGuideService/.